For 25 years, the project Norwegian Scenic Routes has turned 18 stretches of road into a destination in themselves. This spring, several of them are upgraded with beautiful and thought-provoking art and architecture. Norway is a land of opposites, where urban oases and grand, sheltered nature in their own way add to the total experience for residents as well as visitors. But there is an intricate network connecting these extremes – the roads. And contrary to popular belief, they don’t have to be grey, boring and uninspiring. Since 1993, Norwegian Scenic Routes has worked along 18 different routes showcasing the diversity of Norwegian nature and cultural landscapes, from mountains and fjords to waterfalls and valleys. By 2023, more than 200 rest stops covering a distance of 2000 kilometres are to be completed, and the work will continue with 50 additional projects towards 2029. The different installations – check them all out here – vary wildly, from elaborate decorations such as “the golden toilet” opened in Senja in 2015 to viewpoints offering unique and striking perspectives on their surroundings. They do have one thing in common: All of them elevate the experience of travelling from being mere transportation. In an interview with the newspaper Aftenposten, architectural psychologist Eirik Glambek Bøe shares his thoughts on the significance of Norwegian Scenic Routes in the travel experience. "Part of what creates and triggers positive feelings, is the kind of installations that are made in accordance with the landscape’s distinctiveness and topography. Aesthetically, a basic idea is that man-made structures and interventions in nature are built in harmony with the topography. They should be an extension of what’s already there." "Bridges is one example, they’re often beautiful and built where two headlands meet. The bridge then becomes something harmonic between culture and nature, between man and what’s natural," he tells Aftenposten. Several new projects are ready to be finished and opened to the public in 2018. 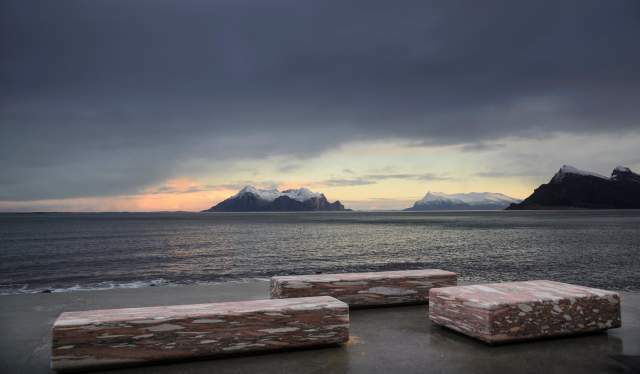 Ureddplassen, placed by the sea along the iconic coast of Helgeland in Northern Norway, has a special history. In 1943, the Norwegian submarine Uredd (“Fearless”) was struck by a mine, and the entire crew of 42 people were killed. 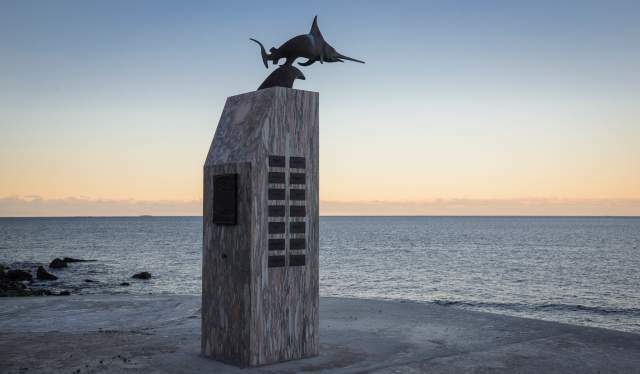 King Olav unveiled a monument on Ureddplassen in 1987, the year the submarine was finally uncovered. At the end of May, several new features will be presented: A restored monument is supplemented with toilet facilities and a rest stop containing an amphitheatre and marble benches. At Vøringfossen in Eidsfjord, Hordaland, exciting things are happening as well. A spectacular new bridge won’t be finished before 2020, but toilets and an access ramp will provide a first glimpse of what’s to come this spring. More information about Norwegian Scenic Routes is available here. Oslo is rapidly growing into a modern, international metropolis. In the countryside, prestigious projects seem to grow out of nature itself. There has never been a more exciting time for Norwegian architecture. A new book presents the most important attractions along the Norwegian road stretches called National Tourist Routes. And tomorrow, we´ll see the opening of yet another great project.